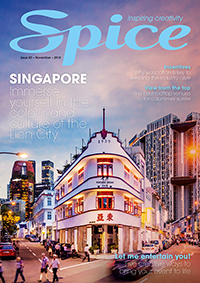 As of July 1, The Intermedia Group, publisher of SPICE magazine and SpiceNews.com.au, is pleased to announce it has acquired A LIST Guide – Australia’s leading print and online corporate event guide and its sister title Food Wine Sleep – an online Australian guide for consumers seeking food, beverage and accommodation experiences. The popular A LIST Guide and sister website Food Wine Sleep have teamed up with Spice and Spicenews.com.au under one umbrella. All products within the A LIST Guide and the Food Wine Sleep portfolio in both print and online as well as all associated events including the A LIST Guide Open House concept, launched at the AIME trade fair earlier this year, will join The Intermedia Group. The acquisition will grow Intermedia’s corporate events and business tourism portfolio, which currently includes SPICE magazine and the twice-weekly online newsletter SpiceNews.com.au. The Intermedia Group is among Australia’s largest business to business publishing companies with 25 printed magazines and 20 websites servicing many important industry sectors.